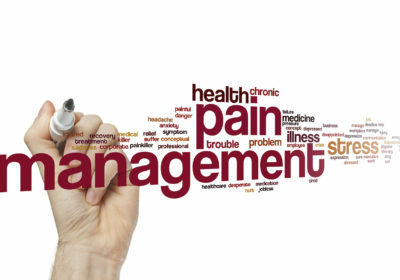 Pain Management – Real Or Fake? Mild pain, moderate pain and chronic pain – all have varying degree of pain symptoms when they occur. When pain is present, be it in the face, neck, torso or legs, it is important to understand that you are not imagining pain. The pain is real. That being said, the pain can have an immense impact on the person’s mind. It has the power to dramatically magnify any pre-existing mental disorder in the patient. For instance, if the person has a history of anger, anxiety and stress related issues, pain can trigger these conditions more frequently than before. This means although pain is real, and to some extent bearable, the psychological side effects can magnify it and make it worse than it actually is. When pain is stemming from mind and empowering patients, it is important to get outside help and support. A well-educated patient aware of the situation is better able to cope with any type of pain symptoms. This truth needs to be spread among patients suffering from pain because understanding the causes and side effects of pain provides an assurance that it is curable. Knowing the difference between the actual harm caused by pain and temporary side effects can reduce the patient’s anxiety and depression. Many people have accepted their pain and lived with it for a long time. Placing the thought of pain in the back burner have made them less anxious, even live a joyous life. The only place they were suffering was in their minds. Is it possible to address every symptom and side effect of pain? The answer is, it depends. Some form of pain can be cured through physical and mental exercise such as yoga and meditation. Other side effects need intervention through medications and therapy sessions. There are many over the counter pain medications to alleviate and keep headaches and body aches at bay. Some pills and capsules like from https://www.capsulesupplies.com/size-0, meant for other health conditions are administered to chronic pain patients. For example, calcium channel blockers meant to manage chest pain from high blood pressure are sometimes used to treat migraines. Similarly, medication for anti-seizure and epilepsy is used for different types of neuropathic pain. Antidepressants are given to patients with pain in the spinal cord. Oral muscle relaxants are administered to relax the entire body, especially alleviate muscle pain in the arms, legs and neck. These medications coupled with physical and occupational therapy have been proven to cure pain for the long term. So, is it safe to take these medications on your own? Absolutely not! These drugs if taken unsupervised can cause more pain and other serious conditions. The drugs are also less effective if they are not delivered correctly. Releasing the drug more slowly rather than at a fast pace can be helpful in managing the symptoms of pain effectively. Some pills and medications need to be taken orally at regular intervals. Others are more effective when injected through skin, into vein or space around spinal cord.